Zhognke sorting machines find a perfect application even in mineral working plants, to sort materials with granulometry between 0 and 25mm. Our sorting machines analyze product into free fall with customized cameras, exploiting the latest technologies into visible, which, combined with LED RGB broad spectrum or neon (depending on models), allow to achieve an optical resolution of 0.1 mm. The most precise ejection system, granting up to 2 billion cycles and up to 1.000 shots/second, allows to have concentrated and minimum rejects, even thanks to simultaneous reject resort or reverse-sorting. Mechanical design and particular accuracy into preventing machine from wearing and external agents influences, make our sorters the most reliable and steady performance machines on market. If a sorter is required for use on corrosive products, special versions of the sorter can be produced in Stainless Steel 316L. The wide variety of machinery ranges and configurations allows us to offer models having throughput from 500 kg/h up to 45 ton/h, with possibility of production upgrading even after installation and start-up. 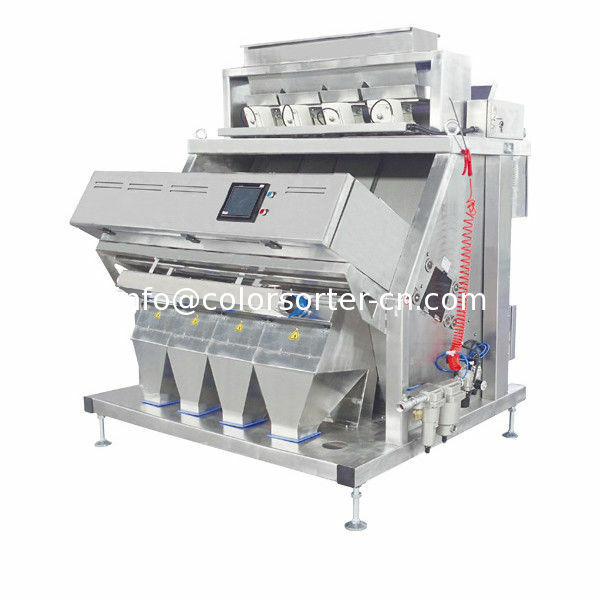 The color sorters is also successful in refined processes such as rock salt and sea salt and offer the best color sorting for salt solution. Our color sorters detection system is able to detect minimum differences in color and shade, with an optical resolution of 0.1mm. Light or dark grey impurities, such as anhydrite, or with light orange and brownish shade, such as sulfur or inert or organic parts, are perfectly detected and sorted with the highest efficiency. The possibility to foresee a simultaneous reject resort allows to recover good product rejected during the sorting phase, due to the high operating speed. 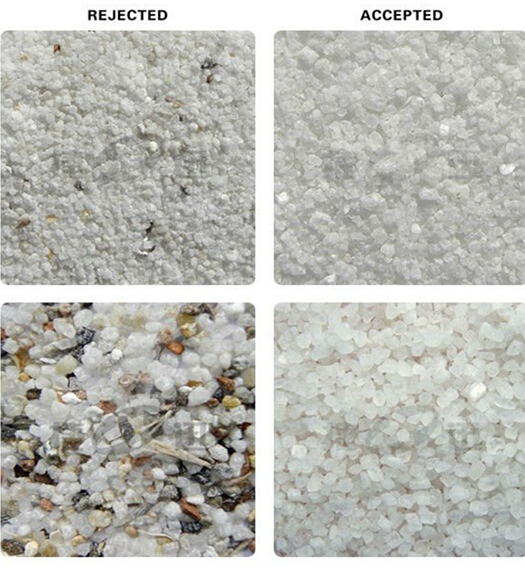 Zhongke sorters grants quality and hygiene safety when sorted salt is destined to food and non-food consumption. No matter what type of food you're sorting, removal of foreign material and potentially dangerous matters is critical. That’s why you need impeccable sensor-based sorting technologies. If you are curious about what this technology can do for your sorting task, please contact us. Sensors are like good eyes. Detection is at the core of sorting. Our high-tech sensors are like eagle eyes; they see more and are thus able to detect and supply more information.